Because I missed two appointments with my regular consultant, I decided to try some others in my area with just plain disappointing experiences just trying to schedule an appointment. UGH Now I am 6 weeks past due! My Biggest pet peeves with SOME sisterlock consultants is that they treat you like they are doing you a FAVOR. Not that you are paying them anywhere from $25-75 per hour for a re-tightening. Some don't return phone calls timely if at all, so many only have availability that conflicts with most working hours. More often than not, I am competing with a dozen other corporate chicks for a Saturday spot. And some are just plain unprofessional. I am not overly serious about my hair but some folks just don't take their side or main gigs so seriously. That is why I am taking the next sisterlock training class. 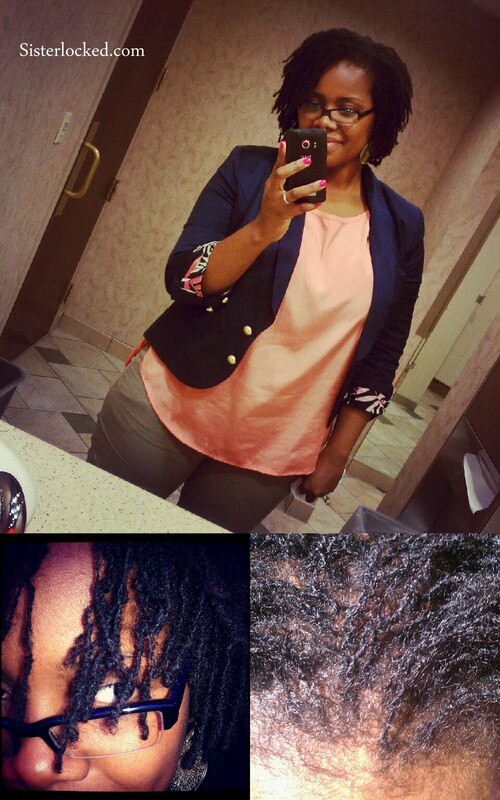 I need the freedom to start new locs in my hair and other's hair when necessary! If you are ever near Buffalo, NY, I am 30 minutes away in a sleepy little town called Akron, NY. I would be happy to have you grace my chair. 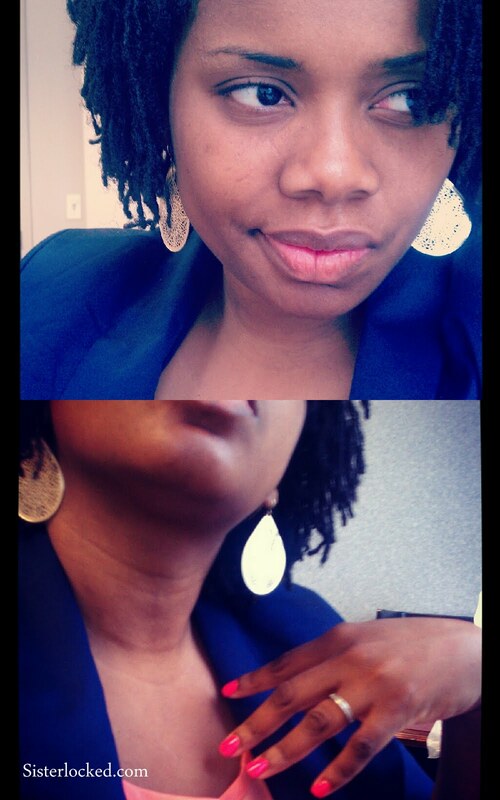 I just completed the Sisterlocks(TM) training and I have maintained my own for nearly 3 years. I totally agree. I always end up getting retightenings at 8 and 10 weeks because it is so hard to get an appointment with my consultant for all the reasons you mention. I'm not sure if it is entirely the consultant's fault because one of the annoyances about SLs are that they are time consuming to maintain. One needs to have a 3 to 4 hour time block to get their hair retightened and when you have a job and young kids like I have, it is hard to find "mommy time" to get it done and coupled with the fact that a lot of consultants seem to think you can just go to them in the middle of the day makes it hard. I'm thinking of taking the retightening class as well. I love reading about your journey. I didn't face this until I moved to Miami but this is so true! I retighten my own hair 10 months out of the year and it has been a struggle finding someone professional for those 2 months (or whenever I just don't have time to do it myself). The person that I've found is like settling for best of the worst because she loudly and obnoxiously complains about almost eeeeevery client as soon as soon as they walk out of the door (or hang up the phone). She once told someone she couldn't do their locs anymore because she was tired of having to correct "issues" that could have been prevented (e.g., wearing a swimming cap when swimming). I am floored every time. Makes me want to shout "these are PAYING clients!" I am about a week past due because my life is hectic right now; can't find time to get my entire head done and my spirit can't handle being in the presence of negativity. We need better people!